Tips/News on Tahiti Cruise and Cruisetour: Discounted Tahiti Shore Excursions! You are here: Home > Discounted Tahiti Shore Excursions! Cruising2Tahiti.com is offering special discounts on Tahiti cruise shore excursions! Enjoy special savings on tours in many different islands in French Polynesia. For more information contact your Tahiti Specialist via email. Prepare to ride on one of the best off-road sightseeing tours available in Bora Bora. On this exciting journey, discover the island's culture, history, flora, and fauna. Learn about the ancient temples of the great Tahitian seafaring society built around 1000 A.D., along with their accompanying legends. Explore WWII sites built by Americans during their friendly taking of the island in 1942. Book this Bora Bora shore excursion today for a beautiful day in paradise. Begin your Bora Bora adventure by circling the island aboard a boat. Sea spray refreshes you as you glide over the turquoise lagoon, enjoying amazing vistas. Reach a resting destination and prepare to swim with rays. Enter waist-deep water to get up close and personal with the magnificent fish. Feel their smooth, flat bodies and flapping wings, delighting in their friendly behavior. Feed them fish and they'll quickly become your buddies! If you feel scared, don't worry, rays don't have teeth. Your captain provides snorkels and masks, allowing you to explore an underwater perspective, just like a fish! After your encounter with rays, it's time for sharks, their equally friendly cousins. They will impress you with their poise and beauty as they glide near you. With your snorkel and mask in hand, plunge into crystal blue waters to explore a gorgeous coral garden, an underwater oasis of vibrant colors. Corals of various hues are home to teeming fish, just as radiant as their ecosystem. Prefer to stay on the boat? You can enjoy the colorful ocean life aboard your ship, visible through the sparkling clear lagoon. On a beautiful motu islet, a refreshing platter of tropical fruits awaits. You will be returned to port after the tour's completion. Book this comprehensive Bora Bora shore excursion for an incredible full day or half-day exploring a beautiful island. This ATV Moorea shore excursion is ideal for riders of all levels. The ATVs/QUADS are comfortable and easy to drive. Learn how to drive them and follow your professional guide through breathtaking landscapes. Book this Moorea shore excursion today for a breathtaking journey aboard exciting ATVs. This is one adventure you don't want to miss! Join your professional guide on a comprehensive island experience. Your ride is accompanied by gorgeous viewpoints, stunning island history, fascinating information, and a relaxing atmosphere. Visit Cook's Bay and a vanilla plantation within the Tropical Garden above Opunohu Bay. Taste homemade marmalades before visiting pineapple fields for more delicious tasting. Afterward, more samples! This time at Manutea, an island distillery with various alcohols and liquors. Finish your tour with a stop at Belvedere, visiting the "Marae," ancient Tahitian temples. Book this Moorea shore excursion today for a comprehensive day spent exploring a beautiful island. The magnificent north coast of Moorea awaits. Board an exhilarating jet ski and travel to the heart of two legendary bays, Cook and Opunohu. Your professional guide reveals interesting secrets about the area as you travel over beautiful waters. A brief snorkeling break is made among colorful corals with vibrant fish. Afterward, visit a sandbank to participate in ray-feeding and a memorable shark encounter. If you visit between July-October, you can observe turtles, dolphin shows, and whales. Book this Moorea shore excursion today for a wonderful day in paradise. Jet skis, snorkeling, and beautiful memories await. 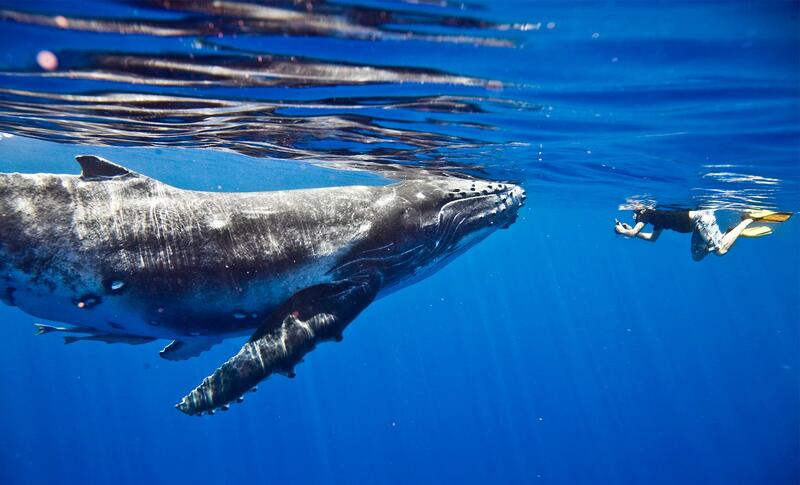 Every year over the same time period, humpback whales come to French Polynesia from Antarctica to breed and give birth before returning to feed in the colder waters when the newborn calves are strong enough to make the migration. The peak season is between August and the beginning of November, which always punctuates the year for Polynesians and is also called the whale tree, heralding in the arrival of the whales to Tahiti. Encounters during this period are very frequent, and one can often encounter the whales in solitary or with their offspring. Board your boat with your professionally trained guide who will have the skills to determine the whale's activity phases (such as socializing, resting or moving). Unlike other places for whale-watching (Hawaii, Alaska and Canada), here it is much more intimate and respectful as the mammals are sheltered from their natural off-shore predators. Polynesia has been declared a Marine Mammal Sanctuary and there has been a moratorium on whale-hunting since 1986, whale-watching is regulated and a permit has been required since 2002. Observe the whales as your boat guide will adopt a proper behavior so that they are respected and not bothered. You can see whales from a distance when they breach or expel water from their blowholes. The boat will slowly approach to line up with the whales' path without actually pursuing them. If conditions are suitable and the whales are in a resting phase, the tour guide determines the best time to get into the water with flippers, diving mask and snorkels. Before your encounter with this fascinating creature, it is customary to listen to the males sing by putting your head underwater. The magic happens when a whale approaches your group to let you admire its magnificence. You will be guided by one of the team members to ensure your safety and to maximize your enjoyment. Upon your return boat ride a light snack and beverages are served as you share this memorable experience with the others on board. Witness first-hand the beauty that is the South Pacific on this Tahitian sunset cruise. Board your boat and set sail on the waters between Tahiti and Moorea. Soak up the stunning views of Moorea’s coastline from the deck of your luxury vessel as the sun begins to set. Sail across the glittering lagoon and watch the horizon melting into shades of red and orange as the sun sets. Upon the spacious deck, enjoy a punch cocktail from your friendly crew who see to it that you have an enjoyable time while on the water. This relaxing sunset cruise is the perfect way to wrap up your day in Tahiti whether you are on a romantic getaway or travelling with your family, everyone will appreciate this stunning tropical paradise at sunset. This small group tour ensures the perfect intimate size for this experience. The many sites around the island of Tahiti are perfect for beginning divers. Highlights include clear, shallow waters; sunken vessels; walls of bright coral; and schools of smaller species. Although there are fewer larger species here, Tahiti offers excellent variety and density of dive sites. You will be taken to meet your dive instructors and after briefing instructions on equipment and what to expect you will be ready for your first dive in shallow water. The lagoon area you will first dive in is as shallow as 20-30 feet and is alive with leopard rays, triggerfish and beautiful coral all floating above wonderful white sand. Continue to explore among the “wrecks” and possibly swim alongside turtles, sharks and a myriad of colorful fish. The wrecks compromise a large cargo ship and a Catalina flying boat. 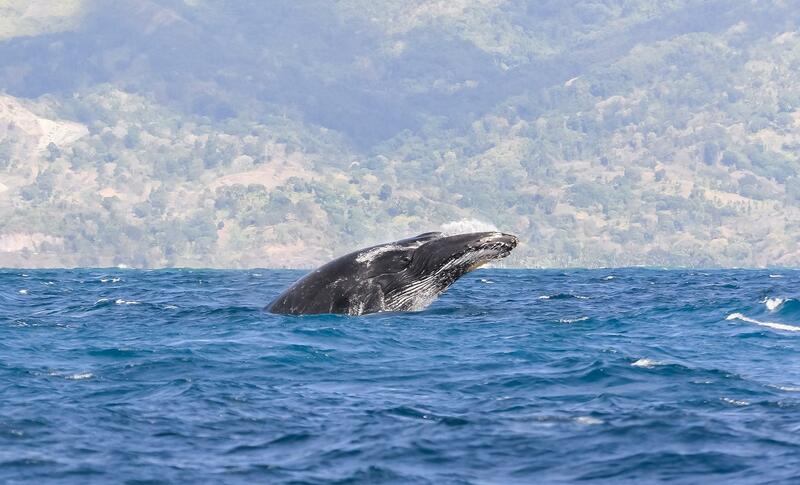 Regular encounters can include manta rays, schools of dolphin dancing in the surf and if you are lucky, humpback whales making their annual parade. 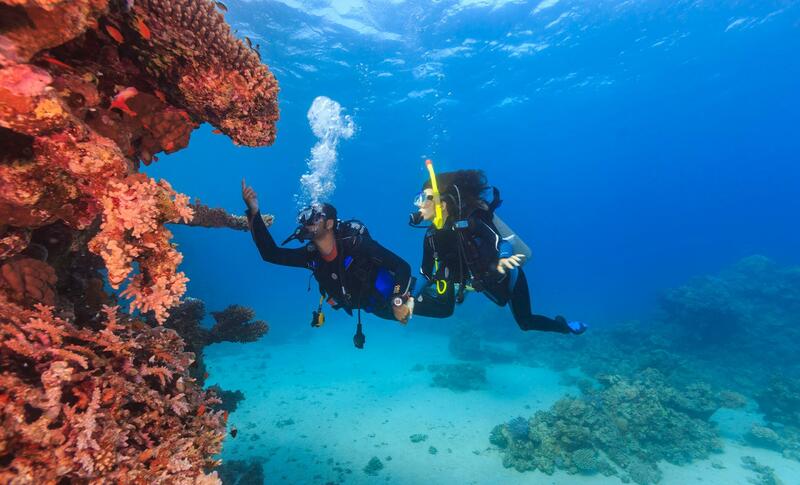 Your approximate dive time under water is 45-minutes and is fun for all ages from 12-75 years old. 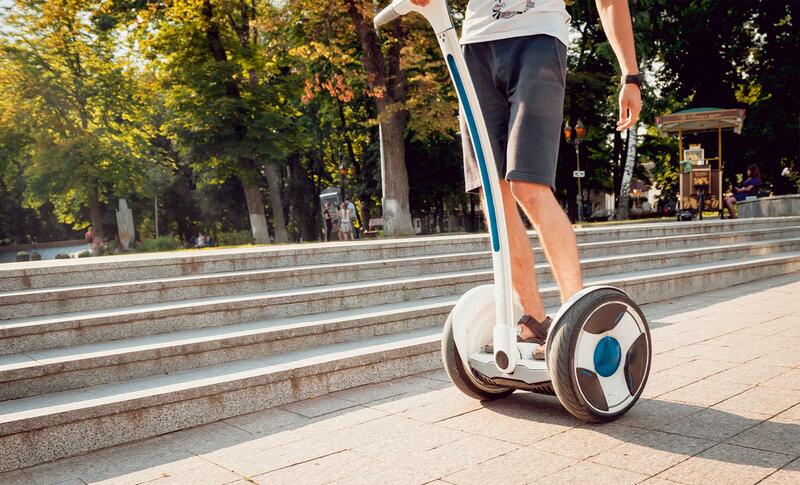 Time is not an issue when you can cover a lot of ground quickly on a Segway! This popular tour gets you up close to major attractions including Papeete's Port, Paofai Temple, Matisse Hotel and the Maritime Station. Gather around your tour guide for an in-depth training session to familiarize yourself with your Segway, then hop on and head out to Papeete's waterfront area. Stop at the Maritime Station and watch sleek boats navigate in and out of the city's marina. Gaze up at the clock tower at Paofai Temple and note the blue-shutters on the Matisse Hotel. Observe the locals as you stand in the center of To'ata Square. Ride through beautiful Paofai Parc and visit the Nuclear Monument and Independence Monument. Your tour concludes at Vaiete Square, a relaxing public square by day that morphs into a vibrant food and entertainment spot when the sun goes down. Sign up today to guarantee your spot on this popular tour of the city, where one might think you were in a beach resort town in the French Riviera. For more information please contact your Tahiti Specialist via email.